Welcome AMS ads 101 and the wonderful world or book marketing. Rated by authors as one of the worse aspects about being an author, getting the marketing right can make the difference between making it as an author and consigning yourself to the footnotes of bibliography. Yes, marketing your book can feel like pulling teeth but all is not lost. There are some simple things you can do to help increase your book's exposure and make a few bucks in the process. 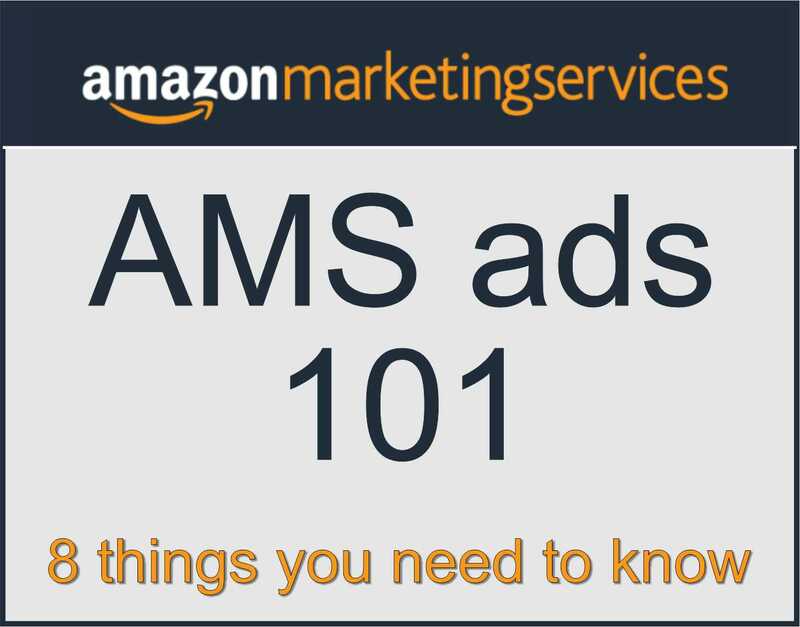 Read on to find 8 things you need to know about AMS ads. 1. Where to run your AMS ads from. The most popular place to run your amazon ads from is found right in your KDP account. From here you can run two types of ads: Product Display Ads and Sponsored Product Ads. The other place you can run amazon ads from is a vendor account through Amazon. This is an ideal option if you do not have access to the KDP account in which your books are uploaded from OR if you upload through Pronoun or Draft2Digital. For authors, the vendor account offers a third option for ads which is the Amazon Headline Ad. Product display ads are targeted by related items on Amazon (not necessarily books). You choose which products you want to target. You can target similar books or you can target items (basically anything on amazon you can target). For example, right now I am targeting this dragon Halloween costume (https://www.amazon.com/dp/B0762RKW2V/) and have a 32% ACOS. 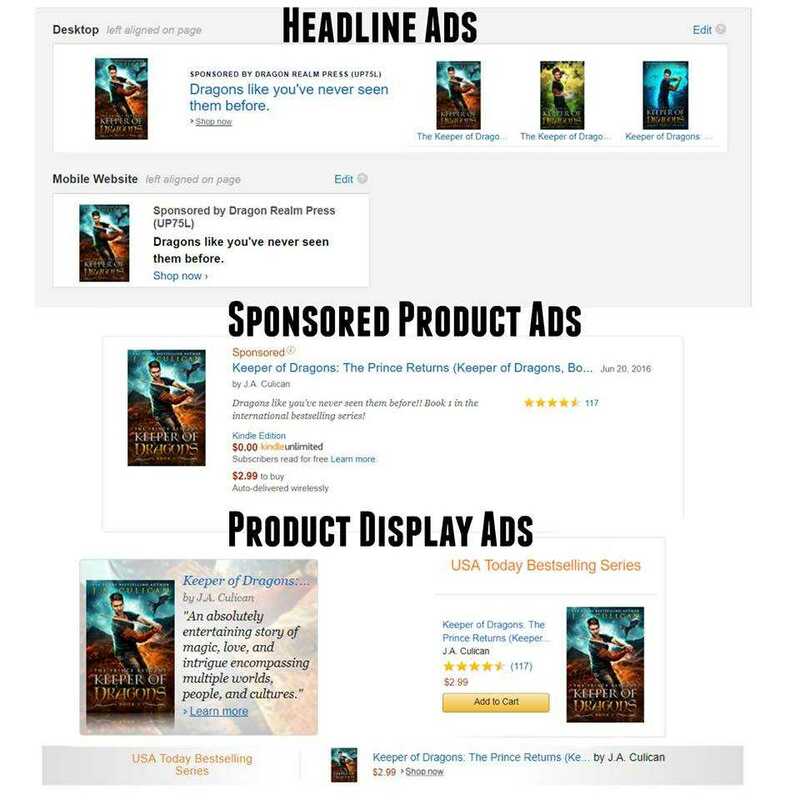 Sponsored Product Ads are the most popular choice of ads for authors. These ads are also the easiest to run and have a positive ACOS in. Sponsored Product Ads target keywords. Amazon will give you suggestions on keywords; however, I recommend creating your own keywords. You are allowed to have a maximum of 1,000 keywords per ad. There are many ways to come up with these keywords. I always start by looking at my also boughts, add those authors and the titles of their books. Then go to those authors also boughts and do the same thing. Once you get into a groove of pulling similar titles and authors, you will find that your keywords will add up quickly. I usually begin an add with around 100 keywords and add from there. You can add keywords to an existing ad as often as you want until you hit your maximum number of keywords. You can also delete keywords at any time. Right now, I have a sponsored product ad that has been running for 16 months and has an ACOS of 21%. I have made thousands of dollars with very little time and money. I started off with around 100 keywords for this ad and have added and deleted hundreds more throughout the months, I know have about 200 keywords that are making me money. At this point in time I don’t do much to this ad at all except add any new authors or titles for keywords as I come across them. Headline Ads can only be ran from a vendor account. These ads target keywords just as sponsored product ads do. These ads are a great option for series for you can have a total of 3 books visible in the ad. See graphic below for an example of what this looks like. I have one going now that has been live for about 3 months. The ACOS is 68%; however, I my daily spend is set at $25 and I am lucky if amazon spends $2 a day. I am having a really hard time getting amazon to show this ad like it shows product display and sponsored product ads. 5. Getting the bid amount right. I recommend starting your bid amounts at $.25. After two weeks go back and look at which keywords/products are getting the highest clicks and have the lowest ACOS. Any keyword/product that is making you money, up your bid. You want to up your bid because you know that keyword works for your product and you want more people to actually see your ad. It takes a good 6 weeks for an ad to percolate through the amazon system so I do not recommend deleting any keywords until that point. 6. Getting the daily spend amount right. Believe it or not amazon actually struggles to take your money. In other words, if you have a daily budget of $5, you will find that more than likely most days you may only spend $1 or less, especially in the beginning of your ads life. I always start my daily bid at $5 a day and then up it by $3 every month my ACOS is below 70%. Right now, my daily budget is set at $100 and amazon fluctuates between $50-$70 of actual spend. 7. Figuring out the charges. The nice thing about amazon ads is you only get charged if someone actually clicks on your ad. Amazon does a great job showing you how many times someone clicks on your ads based on keywords or products and shows you whether the click led to a sale or not. 8. Your ACOS score and why is it important. Average cost of sales (ACOS) is the amount you have spent on a campaign divided by total sales during the campaign run dates (right from Amazon). So, ACOS is a debatable tool among experts. I personally use ACOS when deciding on keyword bid and livability of an ad. Meaning, if a keyword has a low ACOS I up my bid on that keyword. If I have a high ACOS I either let it be or delete the keyword. When it comes to my actual ad, I kill any ad at 6 weeks that has an ACOS of over 70%. At that point I am not making enough money in my mind to justify the ad when I know ads can be created lower. 60% of my sales are from AMS ads the other 40% are a combination of organic and facebook ads. Rarely do I ever promote elsewhere for I feel like that is a time constraint I don’t have time for. AMS and Facebook Ads run themselves. All you have to do is set them up and check on them periodically. Are you new to AMS ads? Need some help? Our experts are proficient in using AMS successfully and can help you too. Check out our Amazon Audience Builder & Amazon Category & Keyword Consultation services. Are Amazon ads only available to those who choose KDP select? Or am I wrong in thinking this? You can use AMS to create ads for anything that you are selling on Amazon, so it’s not just for KDP.